Maverick filmmaker Ram Gopal Varma is ready with the sequel of Phoonk, titled Phoonk 2. The film has been directed by Milind Gadagkar, who had written the original version. “It is not just ghosts that we are scared of but there are times in our lives when a strange and inexplicable incident also scares the hell out of us. Studying this phenomenon of fear has always intrigued me. All said and done, I am really thrilled that inspite of me not having liked Phoonk, Ramu liked Phoonk 2,” Milind concludes. The film has been made in three languages, Hindi, Tamil (Bommai-2) and Telugu (Aavaham). Looks like audiences can await one chilly ride with Phoonk 2. Just when movie enthusiasts across the globe are eagerly awaiting the release of James Cameron’s magnum opus ‘Avatar’ on Dec 18, multiplexes across India are gearing up to encash on the extraordinary buzz around its release. Made with a fusion camera developed by Cameron himself, ‘Avatar’ is expected to revolutionize the film-watching experience and multiplexes are investing huge sums in upgrading their infrastructure to bring this extravaganza to moviegoers. While Avatar will be released in 2D as well as 3D formats, theatre owners are particularly expecting a huge demand for the 3D version. In the past, 3D Hollywood films like ‘Ice Age 3’, ‘& ‘Final Destination’ have done good business in India. From the time producers Fox Star Studios screened 20 mins footage of Cameron’s film in August this year, the number of 3D screens in India has increased from around 12 to 40, and 60-70 screens by 18th December. This covers cities across India including major markets like Mumbai, Delhi, Pune, Bangalore, Chennai & Hyderabad as well as smaller centers like Coimbatore, Amritsar, Kerala, Jaipur and Ahmedabad (which is considered a small market for Hollywood films). Aditya Shroff, AVP – Distribution, Programming and Corporate Sales for Fame Cinemas reaffirms, “I believe that the 3D version of Avatar is going to be the revolutionary movie for this generation & hence Fame is trying to go as wide as possible with the 3D release. Avatar will do to 3D what Reliance did to mobile phone usage in India. While most multiplexes in Pune and Bangalore are going 3D, single screens like ‘Central Plaza’ in Mumbai and ‘Urvasi’ in Bangalore are also going 3D before the release of release Avatar. 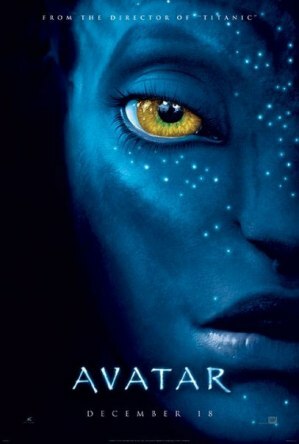 Interestingly, Avatar will be released in 3D in Hindi also. Cinemax in Andheri (Mumbai) has updated its biggest auditorium that has the capacity of 377 with 3D facility for AVATAR. Inox will have 3D screens in Pune, Baroda, Bangalore, Hyderabad, Chennai, Nagpur, Raipur, Rajasthan, Indore, and Kolkata before the release of AVATAR. Thakur adds “The demand for the film has created a worldwide shortage of digital equipment and even silver screens for 3D are hard to get”. ‘Avatar’ is an epic action adventure film made on a whopping budget of Rs 1200 crores. It is the story of a wounded ex-marine, thrust unwillingly into an effort to settle and exploit an exotic planet rich in bio-diversity, who eventually crosses over to lead the indigenous race in a battle for survival. Avatar releases worldwide on Dec 18 in 2D & 3D. In India, the film will also be dubbed in Hindi, Tamil & Telugu. Almost overnight, Vivek Oberoi who’s doing Ram Gopal Varma’s two-part marathon bio-pic Rakta Charitra, has slipped into the Telugu version of the film as well. Earlier, Vivek was slated to do only the Hindi version, while a new Telugu actor Aadhi was supposed to act in the Telugu version with veteran Mohan Babu as NT Rama Rao. But then Ram Gopal Varma did a look test with Vivek Oberoi. Aamir Khan and Hrithik Roshan! These are two of the names being seriously considered for the Hindi remake of the Telugu super-blockbuster Magadheera directed by S.S Rajamouli. Released in July this year, the film has already grossed over Rs. 65 crores in India alone and is said to be the second-biggest Telugu hit after Ghajini which holds the record for being the biggest hit ever in Andhra Pradesh. With this Telugu remake into Hindi that is expected to take off early next year, producers Allu Arvind and Madhu Mantena who also co-produced Ghajini in both Telugu and Hindi, hope to raise the bars for action-drama cinema in Hindi once again. The remake, to be budgeted at Rs. 70 crores, is deeply ambitious. The Hindi version of Magadheera is expected to star Aamir Khan and Hrithik Roshan. While in the original Telugu film which is set in 17th century and in today’s times, the hero Ram Charan Teja plays a double role, the remake, it is reliably learnt, will split the hero’s personality into two parts. Apparently, Hrithik will play the 17th century Samurai while Aamir will play his present-day avatar. Shatrughan Sinha will play NT Rama Rao, Telugu Desam party’s chief, in Ram Gopal Varma’s Rakta Charitra. The bio-pic is based on the alleged outlaw Paritala Ravindra, who was wanted for several serious cases, but he contested and won elections on a Telugu Desam ticket. The film will go on the floors in Hyderabad shortly. Ram Gopal Varma confirmed and said, “I chose Shatruji because he has a larger-than-life personality, which is required to play NT Rama Rao. NTR played a very important part in the life and political career of Paritala Ravi.” Talking about the film, Shatrughan Sinha said, “Rakta Charita is more like the Mahabharata in spirit than the Ramayana. The film’s tone is similar to that of The Godfather.” The film will be made in Hindi and Telugu and veteran actor Mohan Babu will play the role of NT Rama Rao in the Telugu version.